We have just added the ability to let multiple users edit the site. 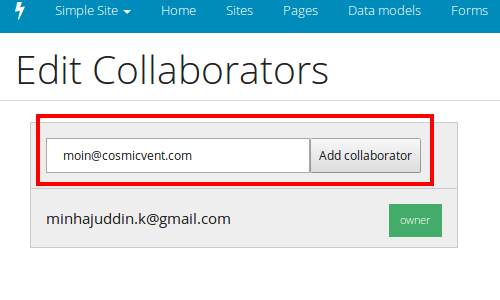 If you want to give others access to edit your site, go to the collaborators page and add their email id and click on the 'Add collaborator' button. That's it, now they have access to your site and can edit the content. 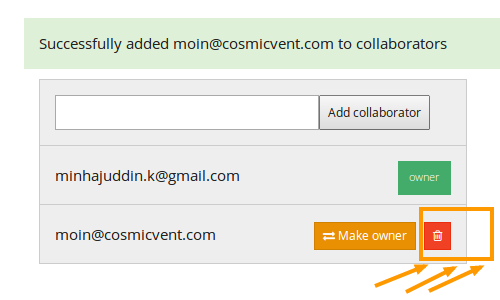 If you want to remove a collaborator just click on the 'trash' icon, this will revoke the access given to the user, after which they cannot access your site. Your page is rendered using the underscore templating library. You also have to all the methods which are available in underscore.js. We now have code completion which fills in the asset paths for you. e.g. 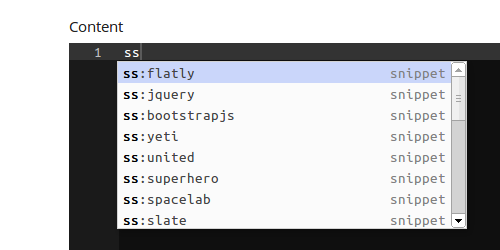 if you type yeti and hit tab it will expand it to the css include of the yeti theme from our CDN. You can even type ss and hit Ctrl-Space to show the available snippets. 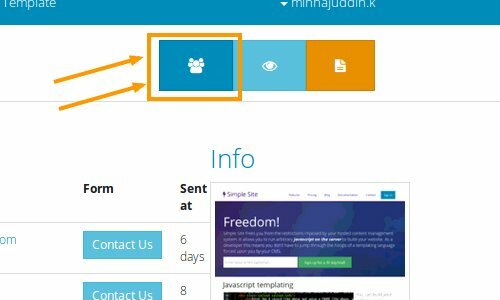 Adding contact forms is a common thing most people do after setting up a website, You can easily add a contact form through simplesite by following the steps below. Do the following to setup email forwarding for your domains.